When it comes to retail, marketing is everywhere. From big, bright signs and posters in the shop windows, to outdoor signage in the carpark, even ads on the telly and radio. However, not all advertising has to be big and flashy. Sometimes even the smallest and simplest forms of advertising can help to increase sales. If you can make a particular advertising method stand out in its own unique way, then there’s no limit to the amount of success you can achieve with it. There is one simple and effective product that catches eyes, despite its size. We are talking about shelf wobblers. You know…those little pop out advertisements on the shelves that tell you all about a certain product or promotion? You can’t help but notice them. These are a super effective way to boost sales of a particular product, despite not looking like much. At first glance they look like a cheap bit of plastic which no one pays attention to, but actually they are a clever and economical marketing tool which could both make and save you a heap of cash. Some benefits are that our wobblers are small, can be mass produced and we can even make you your own bespoke design. At Kaizen our shelf wobblers are printed at two different sizes, A5 or A6, on 350gsm silk. They are printed in full colour, meaning that they are vibrant and easily read. They are only printed single sided because of their design, but that doesn’t stop them being eye-catching. Because they are printed in full colour, you can be sure that they will grab the attention of any customers that pass by. Our shelf wobblers come with a plastic “wobbler” arm and self adhesive strip which allows for instant and easy fitting in your store. For that little something extra, we can die-cut your shelf wobbler to almost any shape imaginable. 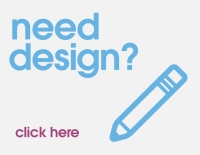 However, this option will require a bespoke quotation, so you’ll need to send an example of your artwork and a proposed quantity to us and our team of experts will get back in touch with you. Okay, they aren’t printed on semi rigid PVC, but that makes them quicker to print so your shelf wobblers can be with you faster. This also means they are less durable than their semi rigid PVC counterparts, but our shelf wobblers are cheaper and are perfect for short to medium promotions. These are especially useful for local shops and convenience stores. Maybe there’s a particular product you would like to push or perhaps you’re a much larger store looking to attract some extra attention to a product in one of your aisles. Whatever your situation might be, shelf wobblers are a simple and effective way of internally marketing your products to passing customers. They may not look like a big investment, but deploy them correctly and they can make a big return for your business.